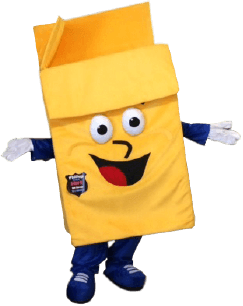 Our company fully believes that it is important to give back to the community, and with the help of our mascot Phillup the Box we are always out and about. We also do several donations throughout the year, such as Children's Home of York, York County SPCA, York County Habitat for Humanity, Bridge of Hope, and our military personnel through an amazing local company in Hanover, PA “For the Love of a Veteran Inc.” We are also proud to announce for the 2018-2019 year we are ambassadors in York’s Unity through 10,000 Acts of Kindness. Not only do we love giving back to the community but also to our customers! When you rent you will receive our T.A.P (Tenant Appreciation Program) Coupons to use throughout your stay. Inside this booklet you will find coupons redeemable for discounts on merchandise, pre-payments, birthday and our quarterly donation discounts and tenant drawings.